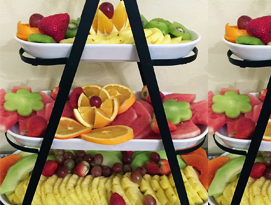 A fruit table not only tastes great but it also adds to the décor of any event. Your guests that are in to health and fitness will appreciate the fruit table much more than you could ever imagine. Believe it or not a fancy well decorated fruit table will be the talk of the evening.